This week everyone has been busy as school started and everyone is having a rush hour here and there. Being mommy of two boys, I am busy juggling my time and still trying to adjust myself to their time to pick them up from kindergarten and primary school. 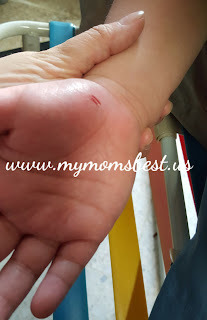 Yesterday my son has got a minor accident at home, the lazy chair he was sitting on he was pulling the chair and somehow he gets minor cut from there. He started crying because he is in pain. I am glad that I have got the first aid kit at home. Wounds happen, and often when we least expect them. Today, there are easier and simpler solutions to treat wounds the right way, and conveniently too! Above is the BETADINE antiseptic skin cleanser. BETADINE Dry Powder Dry (DPS), it's compact and useful to bring around in backpacks, handbags and even pockets. This can also be use on wounds such as scratches, blisters and gashes. Easy to use this DPS, keep the wound dry before using the Betadine DPS. Shake and spray on affected wound area to sterilize bacteria and stop infections from spreading. Keep sterilized wound neatly dressed to help recovery. I am happy to have this kit at home, I can also use it as a travel kit. This first aid kit is complete with all the necessary products I need for treat the basic wounds. BETADINE® Wound Care is a range of povidone-iodine-based medicated products that can kill and prevent germs from infecting the injuries caused by minor daily accidents. 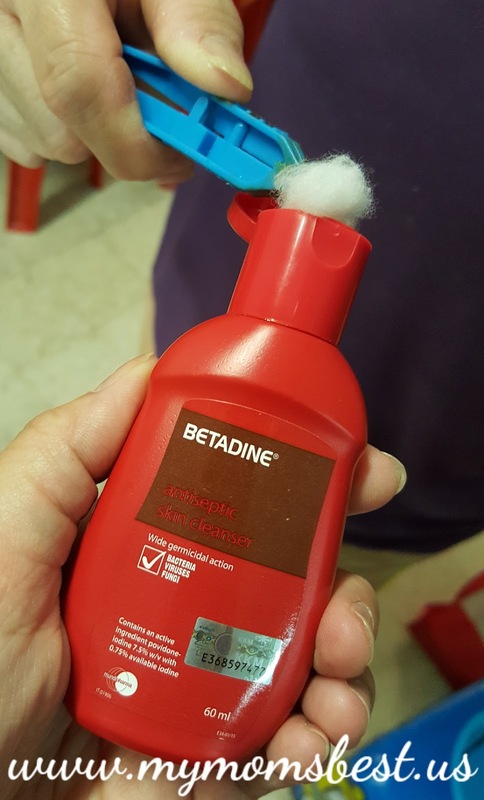 With BETADINE®, I can treat wounds early to prevent infection, help in wound healing and keep my family at play. Below are the steps on how to properly manage wounds, which ensures a hassle-free and speedy recovery. Follow the following steps. 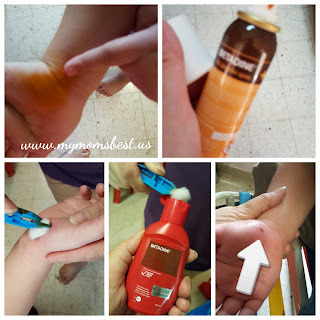 One of the first things you should be doing is to wash the wound to clean any blood or residue, such as sand. This also prevents the wound from spreading bacteria. This step is important to effectively sterilise wounds to reduce the chances of infection. When not at home however, many do not use antiseptic to treat wounds as it isn’t common to carry them around with you. This is where Betadine’s Dry Powder Spray (DPS) comes in handy. It’s a great ‘pull out of the pocket‘ solution to sterilise wounds and aid in the recovery process, especially when one is away from the comforts and amenities of home. 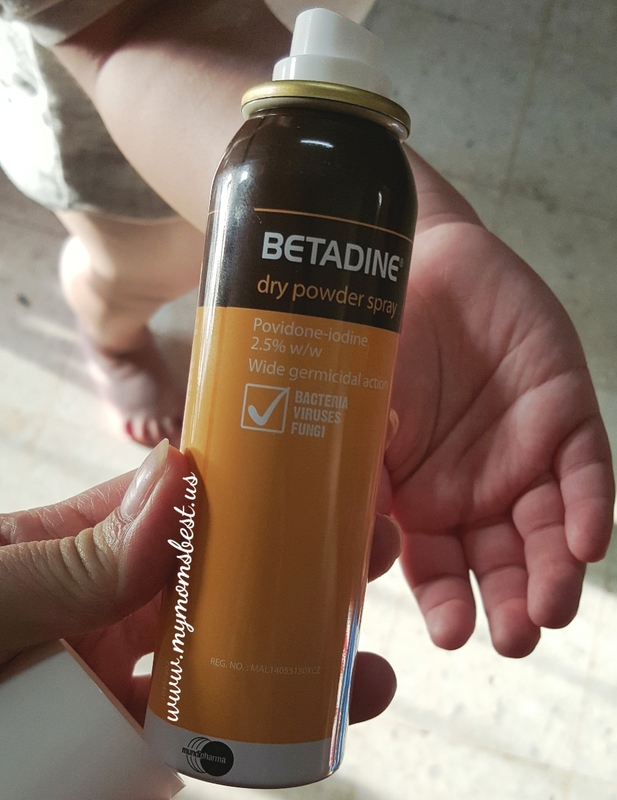 BETADINE® Dry Powder Spray would provide a drama free solution when attending to your child’s wound. With the use of bandages and plasters, this step ensures that the wounds are kept clean after sterilsation. It is important to re-apply fresh dressing from time to time to keep the wound clean, which will hasten the recovery process. If you like to know more information on BETADINE® and wound management, do visit www.healingwithbetadine.com. Wow. Also got the Dry Spray now? That is very handy to have around. Thank you for letting me know about the latest. Good and efficient it seems. Must prepare one of more esp we have kids. I tried it before and love the result of it. Easy to bring everywhere too. Thanks for sharing. It is important to know some basic care when get hurt. This is handy to have it at home and travelling also. Very handy dear. And thanks for sharing. 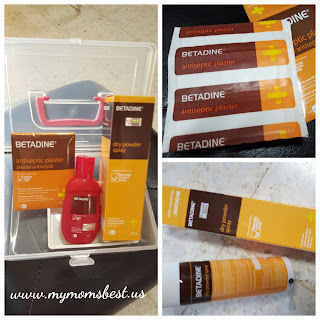 Betadine has always been one of the brands that my family uses for cuts- it helps ease the wounds more effectively.